My mother-in-law is ruining my marriage. From the moment she took over my wedding planning she has let me know I am not good enough for her son. She criticizes my cooking, complains about the way I keep my house and constantly reminds me that I don’t have a good education and my job doesn’t make much money. She knows I take a medication that makes it hard to manage my weight, but she always points out when I am “getting chunky” or “thin and sickly looking.” She is not concerned about my health—she is concerned that my pants look “painted on”. We cannot have a normal discussion because having a differing opinion or disagreeing with her makes her become aggressive. If I do start a conversation she interrupts and starts talking to my husband about something different. She expects my husband to pay for her things saying she paid for him for eighteen years, it is his turn now. I end up crying after every visit with her because she is so mean. My husband knows her faults and he tries to set boundaries but he always backs down and gives in to her demands. I love my husband dearly but now she is talking to him about selling her house and building an apartment under our house. I can’t do this. Not only will she never pay to have the in-law-suite built but I cannot live with her. Please help me. Your first task is to get your husband to stand with you as partners. This is particularly tough for many men as they often take the path of the least resistance when it comes to their mothers. Don’t be harsh because he’s been subject to her temperament all his life. Don’t bring it down to character flaws like she’s controlling or she’s mean-spirited. Instead, have points you want him to support you on. When she interrupts you, he needs to tell her that she should wait until you are finished before starting another conversation. If she brings up your weight, he must stop her and tell her that something so personal is not open for discussion. As to the apartment in your house, she doesn’t sound ill or in need of help, so your husband will need to be very firm. Suggest she gets a small apartment on her own or explain that the two of you would like to live together as a couple for the moment. But don’t back down if you want to keep your marriage intact. 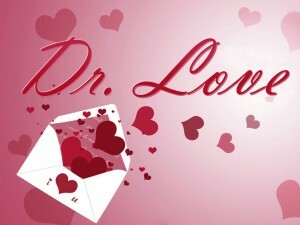 Doctor Love: My fiancee is changing even before the wedding – help!